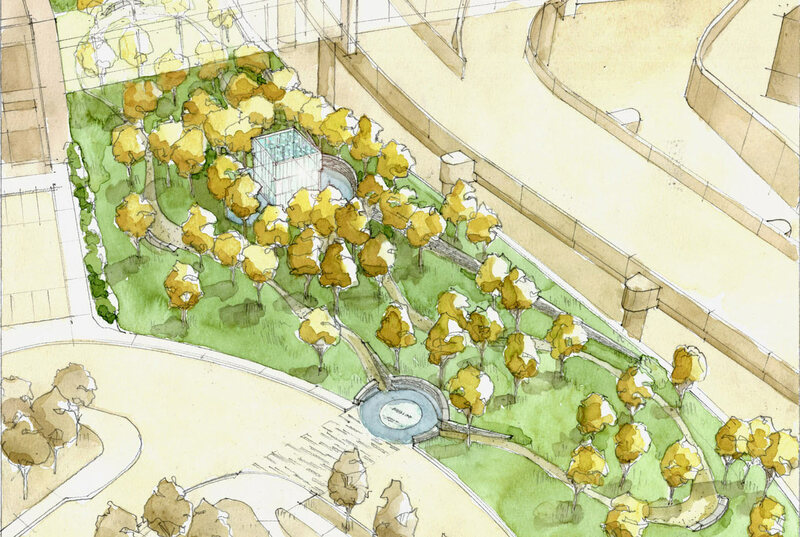 Boston, MA The competition-winning scheme for Massport's 9/11 Memorial at Logan Airport honors the crews and passengers of American Airlines Flight 11 and United Airlines Flight 175. 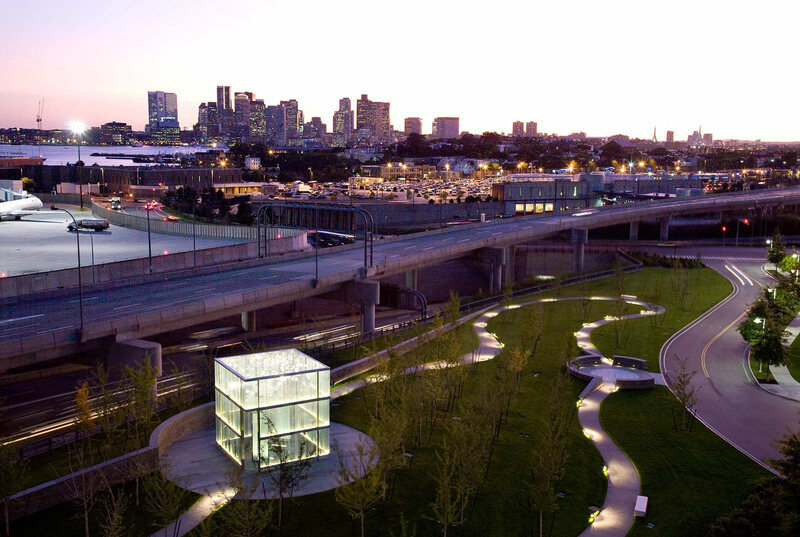 Despite the steel-framed memorial's somber evocations, Massport also wanted to create an intimate experience that uplifts and transports. We choreographed two curving paths through a narrow, sloping site dotted with Gingko trees and edged with fieldstone walls. Slowly, a glowing glass cube comes into view. 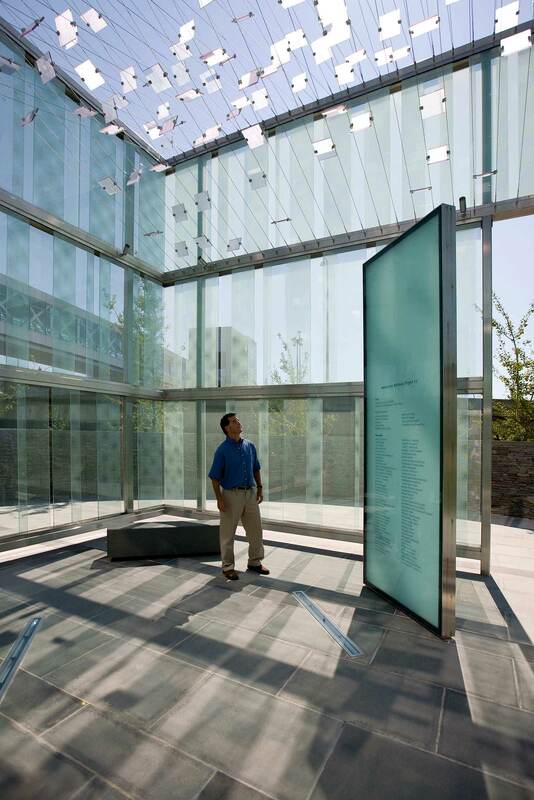 Glass walls transition from transparent to opaque to focus views upwards. Polycarbonate shards hang from stainless steel cabling at the top of the memorial, framing the sky. Two glass panels inside the memorial list the names of those lost. 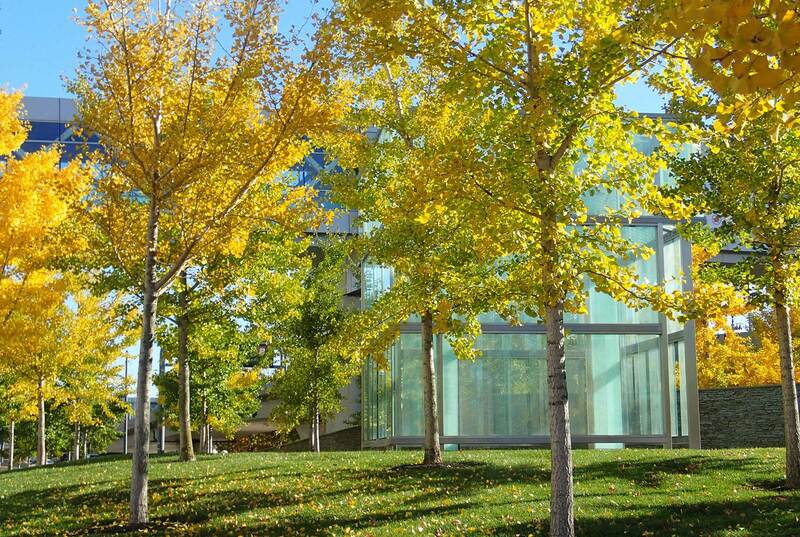 “The Place of Remembrance" is open 24/7, serving as both respite and beacon. 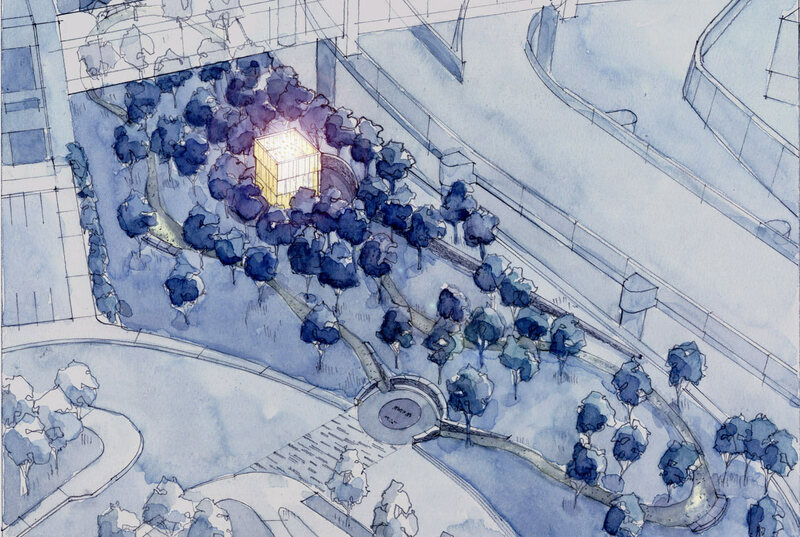 The competition-winning scheme for Massport's 9/11 Memorial at Logan Airport honors the crews and passengers of American Airlines Flight 11 and United Airlines Flight 175. 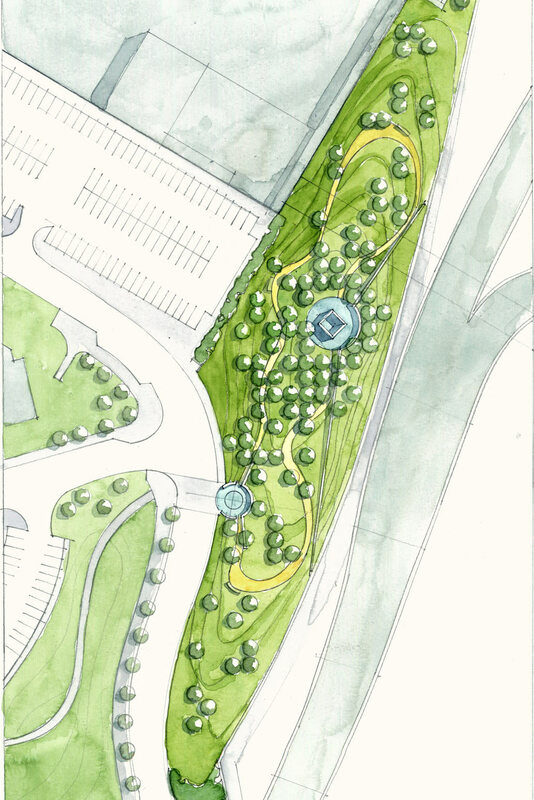 Despite the steel-framed memorial's somber evocations, Massport also wanted to create an intimate experience that uplifts and transports. We choreographed two curving paths through a narrow, sloping site dotted with Gingko trees and edged with fieldstone walls. 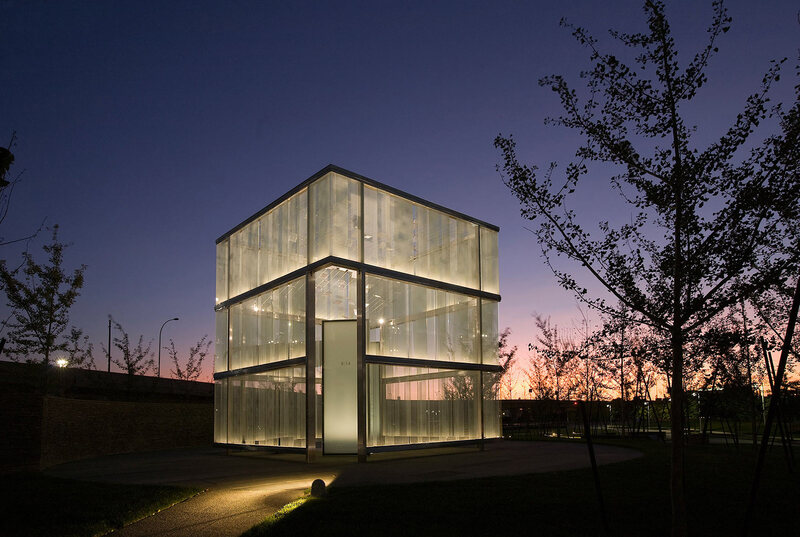 Slowly, a glowing glass cube comes into view. 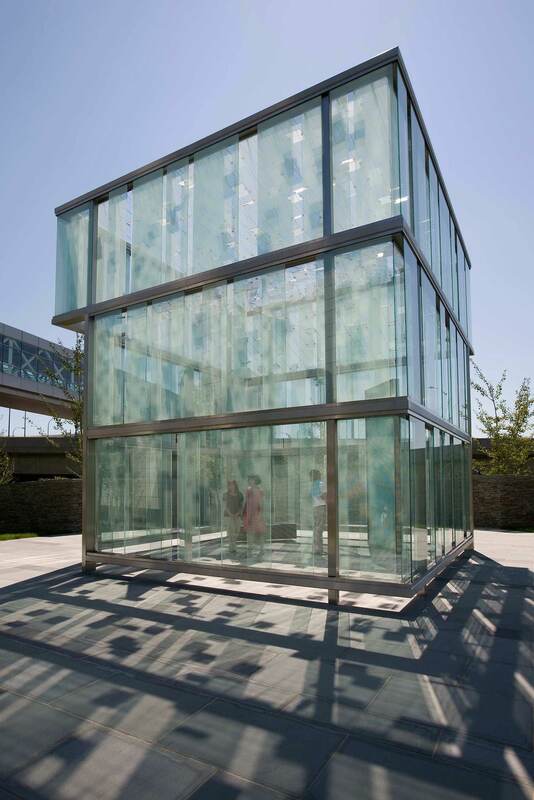 Glass walls transition from transparent to opaque to focus views upwards. 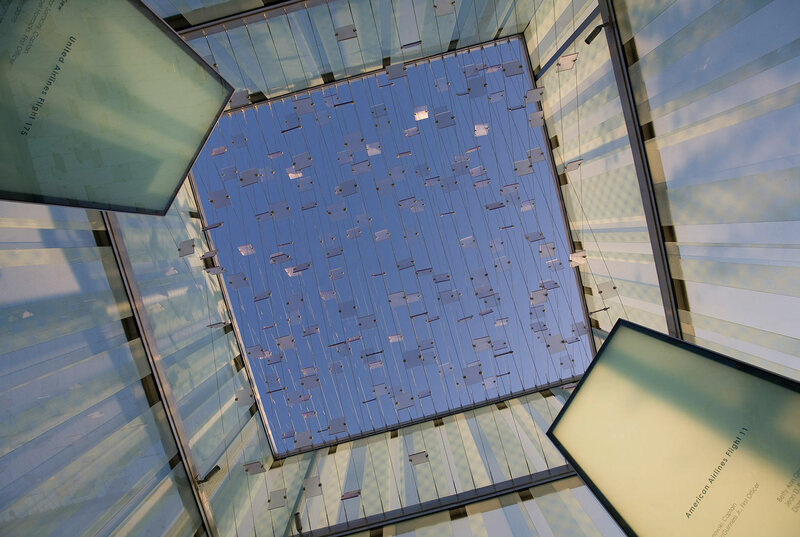 Polycarbonate shards hang from stainless steel cabling at the top of the memorial, framing the sky. Two glass panels inside the memorial list the names of those lost. 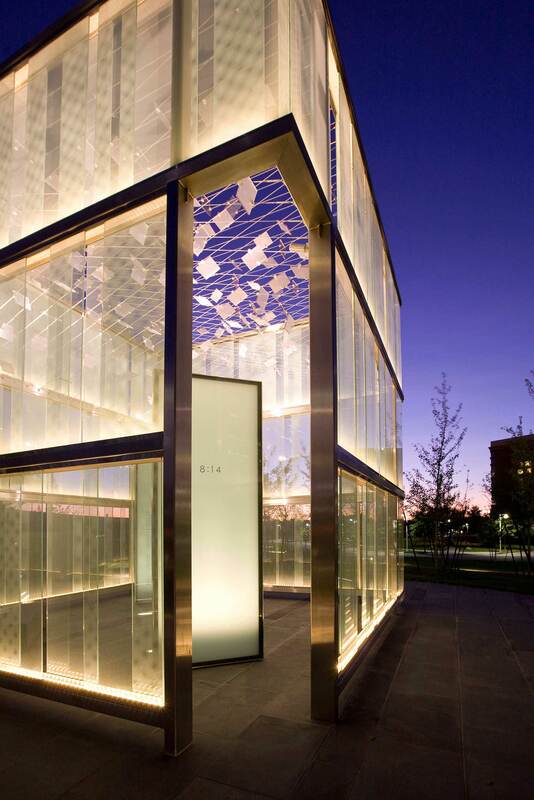 “The Place of Remembrance" is open 24/7, serving as both respite and beacon.